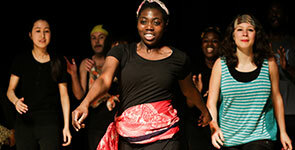 The Dance Summer School will focus on a variety of dance styles and develop performance skills. This week of dance is a chance to work with guest artists, make friends, have lots of fun whilst building teamwork skills. Some dance experience is preferred but not essential.  Spend a week with up to 40 other young people and a professional singer-songwriter to create new songs and vocal arrangements. 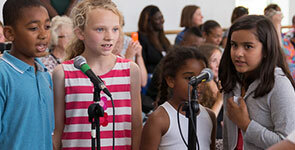 There will be a focus on a wide range of singing styles and ensemble singing. At the end of the week you will showcase your singing, harmonising, songwriting and performing skills in front of friends and family. 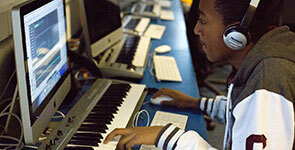 Explore a variety of ways to create music using technology with beat-making sessions, use of hardware (drum machines, synths etc), and mixing and mastering classes. Previous music production experience is preferred though not essential. Spend a week exploring a wide range of enjoyable and exciting art forms including aerials, tumbling, acrobatics, circus skills and clowning plus an opportunity to explore the technological side of performance. A fun filled program to keep young people active, creative and learn a whole new skills base this summer! Beginners welcome. This week long programme will give you the opportunity to work across a range of static aerial forms. A relatively good level of fitness and physical ability is required. Deadline for applications is 15th June 2018. Places will be allocated carefully on a first come, first served basis, but also recognise the circumstances, needs, talents and/or abilities of young people. Places will be allocated by 29th June 2018 at the very latest and we will contact you accordingly to let you know the outcome of your application. Should the programmes become fully booked and we are not able to allocate you a place, you would have the choice to remain on the waiting list in case spaces come up nearer the time. You will be required to make the payment prior to the start of programme once we confirm your place. Please note that Bursaries are available. 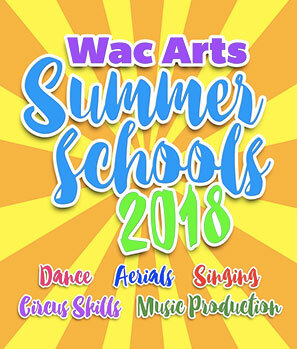 If you have any further questions please don’t hesitate to contact us on 020 7692 5888 or email Summer@WacArts.co.uk.